Comfort Zone of the Carolinas provides expert commercial heating and cooling service for our business clients. Our mission is the same as yours: to make sure your commercial HVAC system runs properly so you can take care of your business. Our company has served the Tri-County area of South Carolina, including Rock Hill, Fort Mill, Lake Wylie, Clover, Lancaster, Chester, Indian Land, York, and Great Falls for a combined 40 years. 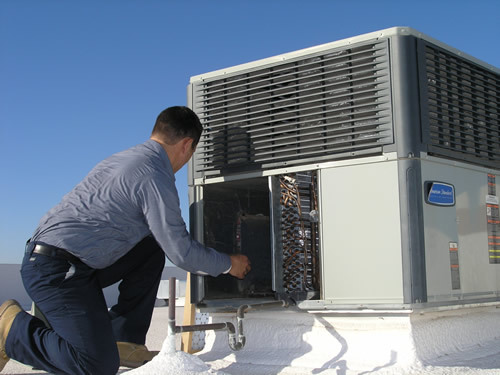 Installing new systems and providing expert commercial HVAC replacement and repairs are just one part of what we do. We also guarantee your continuous comfort through routine heating and air conditioning service. We understand that commercial buildings can be tricky to maintain. In many cases, the way ductwork and HVAC units are set up can be quite complex. That means you need the expertise that comes along with having worked on these types of systems for many years. That’s why Comfort Zone of the Carolinas is trusted by so many companies in our area. We take care of our clients by providing fast, responsive service on every call we receive. We understand that when your commercial HVAC system is down or not performing as it should, it can have a real impact on your business. If you suspect a problem, just reach out to us and we’ll be there as quickly as possible. We also offer preventative services. We can come to your location and perform a thorough inspection of your system to make sure it’s working at its best. Having this done on a regular basis can really help you identify problems before they cause your system to stop working. You’ll be able to avoid a work stoppage or slowdown and will also guarantee that your employees, patients, customers, and clients are always comfortable. Call Comfort Zone of the Carolinas to learn more about the commercial heating and cooling services we offer for businesses, office complexes, medical practices, schools, churches, and other facilities. We take care of all makes and models. Let us help you find a solution to all your heating and cooling needs.